So I got in touch with Brandon Watson and have already worked on developing GetHuman for Windows Phone 7 and also a few other apps. The real reason I am writing this article is to express how impressed I am with Windows Phone 7 after switching from WebOS. 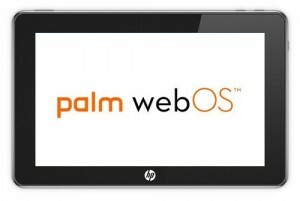 I have been a pretty loyal fan of Palm and now HP in WebOS’s dying days. I have gone from a Palm Pre, to a Sprint Franken Pre+, and lastly a Sprint Franken Pre 2. If you are still a die hard fan of WebOS and still have your Palm Pre do yourself a favor and switch to Windows Phone 7. After just playing with the HTC Mazaa development device I got from Microsoft, I have already gone out and bought myself a Sprint HTC Arrive to replace my aging Palm Pre 2. I must admit though, Sprint yet again desperately needs to support better phones. I love Windows Phone 7, but one device is hardly a selection. Well it’s been practically forever since I have had any spare time. I decided to start with playing around with some web development again. In the next few months I’ve decided to try my hand at making a few mobile apps. I recently upgraded my cell phone and now am gladly sporting a new Palm Pre, which I couldn’t be happier with. It was a tough decision between an Android phone and a WebOS device. The Palm Pre is amazing and I am definitely glad I chose this one. Then I decided to poke around with the SDK and was amazed how familiar developing for this device felt compared to just basic web development. So now as I start playing around making a few test apps and seeing what I can do. I would love any suggestions for a good mobile app if you have any please drop a comment!